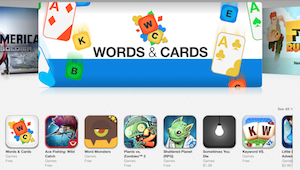 Words & Cards has launched for all iOS platforms for FREE this week, and Apple has selected the game for a main feature and showcased it as a Best New Game! It’s a unique combination of addictive word-forming puzzles and ingenious card play against friends and random opponents. Check it out for yourself by downloading from the App Store free now!